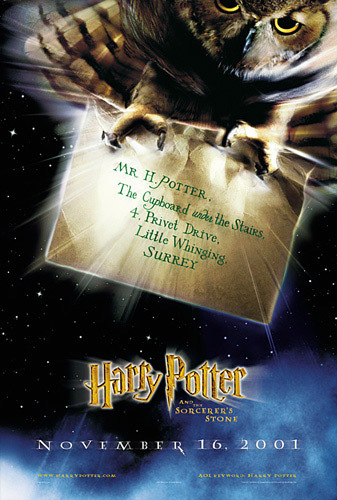 Harry Potter and the Sorcerer’s Stone demolished the record for biggest opening last week and heads into the box office-friendly Thanksgiving weekend as the film that will clearly be the top earner for a second weekend in a row. With all the positive momentum that favorable word of mouth can bring, it is even entirely possible that the wizard will defeat The Lost World, the previous three-day record holder, a second time. Three family films with the same release pattern are strong data points for comparison. Just last year we saw How the Grinch Stole Christmas follow its $55.08 million open with a three-day total of $52.12 million the weekend after Thanksgiving, a mere drop-off of 6.6%. The two Rugrats films also both opened the Friday before Thanksgiving, with The Rugrats Movie grossing $27.32 million in 1998 and last year’s Rugrats in Paris earning $22.72 in its first frame. Both films had identical dropoff in their second weekend as each fell 23%. Using the Rugrats numbers as my worst-case scenario gives me a potential three-day total of $69.43 million. My instinct tells me it will perform slightly better than that, though I think a hold similar to that of the Grinch is unlikely. I’m estimating a 20% drop and a total of $72.23 million for the three days, a number that conveniently just beats Lost World’s previous record-setting three-day cume. Of the three new openers, Spy Game appears to be most likely to grab the second slot. Tracking shows it to be the top choice by an easy margin, though young adults are still more likely to make Potter their number one selection. Though a cursory review of Thanksgiving releases indicates that family films are the clear choice for audiences, more adult-oriented fare such as Unbreakable ($30.33 million) and End of Days ($25.3 million) have performed strongly in their first weekend of release, with The World is not Enough and Sleepy Hollow also showing some strength with Thanksgiving being their second weekend, earning $23.24 and $18.41 million respectively. Following a strong marketing campaign, Spy Game looks to pull in over $20 million and since I like to assign a hard number, I’ll estimate that it will do $26.2 million over three days. Another family-friendly holdover should maintain some strength with a third place finish. Monsters, Inc. was certainly hurt by the competition from Harry Potter last weekend, and I suspect those effects will be somewhat counterbalanced and it will show a substantial rebound, landing at $20.4 million. Martin Lawrence’s The Black Knight was shifted from a January release to the Thanksgiving date after positive response in test screenings; however, Lawrence seems to have lost some of his earlier appeal after the dismal What’s the Worst that Could Happen. The Black Knight is receiving eerily similar critical response to that film, and while that response is unimportant for opening weekend performance, audiences are smart enough to recognize a dog when they see one. Even at that, I do believe Lawrence has enough of a loyal fanbase that this film can pull in the neighborhood of $16.2 million over the course of the three days following Thanksgiving. The remaining wide release, OutCOLD has been advertised heavily in certain youth-oriented outlets such as UPN and MTV. Though I imagine awareness is high among that particular target audience, it should be the film most likely to get lost in the shuffle, particularly since tracking still indicates a high want-to-see for Harry Potter with people from that age group. $6.9 million is probably a generous estimate for the feature, but hey, it’s the holidays and I’m feeling kind. The top ten films look almost certain to finish very close to last year’s $163.2 million total during the same post-Thanksgiving weekend time frame.